Massage into wet hair, lather and rinse thoroughly. Follow with our Color Care conditioner. For extra care, indulge in our Color Care mask treatment. The same emollients that make Argan Oil so beneficial for skin work wonders on dry, dull hair. Argan Oil is used to help smooth the look of split ends, detangle, improve dry scalp feel, and strengthen hair as it grows. Bursting with goodness, the Cranberry's high concentrations of antioxidants and Omegas 3, 6, and 9 naturally hydrate skin and hair. Rated 5 out of 5 by AngelaMarie from Smells AMAZING I bought this shampoo and conditioner a couple weeks ago and I absolutely love it. My hair feels soft and clean and I completely love the smell. I hope they never discontinue this product, as I can see this being my forever shampoo and conditioner. Rated 5 out of 5 by Samantha2017 from Absolutely AMAZING I always use Whole Blends and every now and again I switch up the different kinds. I bought the Argan Oil and Cranberry the other day and used it for the first time today. Not only does it smell amazing, it made my hair feel so soft with no frizz. (which is hard to find because my hair is thick and bleach damaged, whoops) I’m in love with this Shampoo! 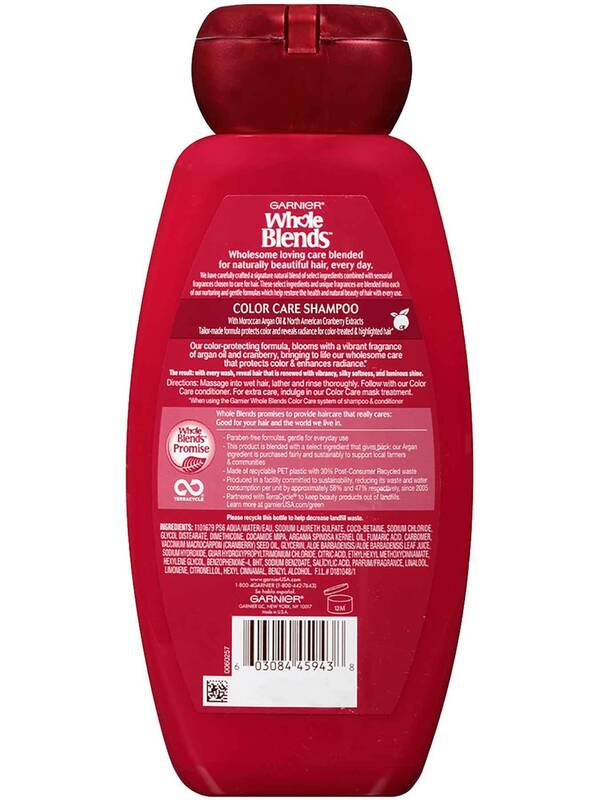 Rated 3 out of 5 by bzzagentaxhilli from Gets the job done The shampoo works good for cleansing the hair but it stripped my hair which I did not like. My hair felt straw like and I was not able to detangle my hair after using this shampoo without first having to put a ton of conditioner and other products on it. The product lathered well, it had a pleasant scent and it did not irritate my scalp. I do not like products that strip my hair because of my hair type but if that is not a concern for you than this could be a product you enjoy. Rated 3 out of 5 by Rxqueend from Very nice! I really like the scent & the way it makes my hair feel after using it! My hair is very shiny & smells great! Rated 5 out of 5 by tonyahsu from Phenomenal Scent! 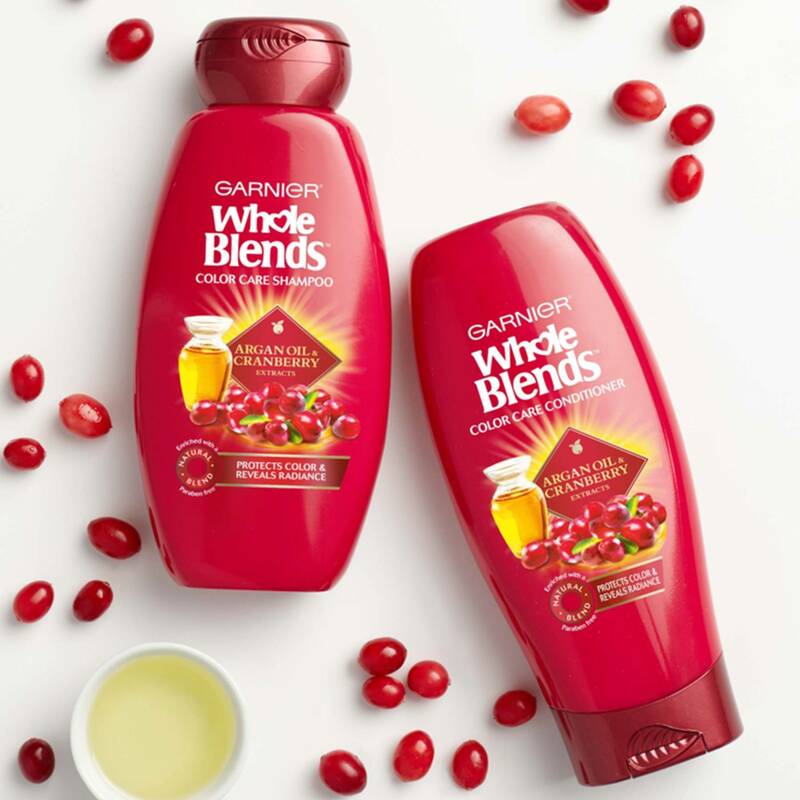 I was so excited to try this shampoo/conditioner set because it is especially formulated for color treated hair and I found the ingredients of argan oil and cranberry particularly appealing. Both of these products have an amazing scent (although the scent of the shampoo is slightly stronger than the scent of the conditioner) that lasted long after my hair had been washed. After using the conditioner, my long hair was left tangle free, soft and shiny. 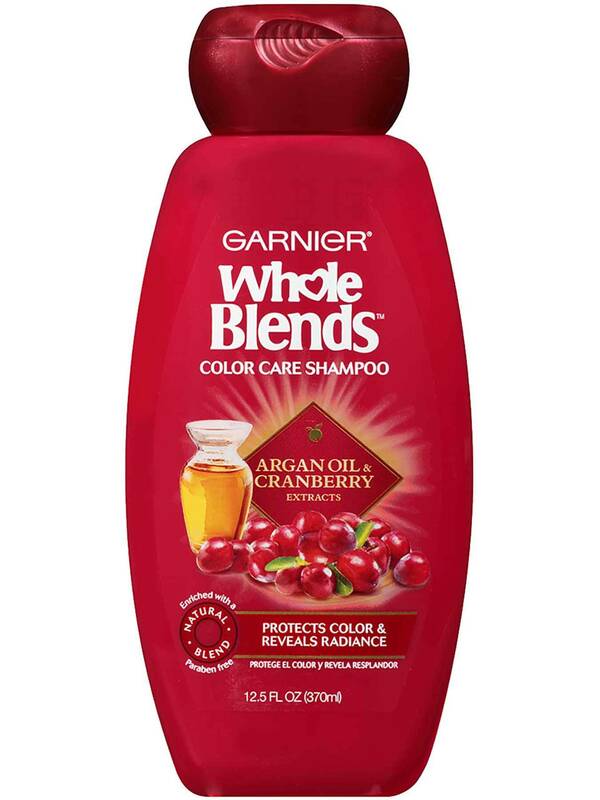 The conditioner was very moisturizing which is something I require of a conditioner for my dry, color treated hair. These products should be used in conjunction with one another for optimal results. I thoroughly enjoyed using these products (especially the scent and that they are specially formulated to protect color treated hair) and I will definitely continue using them in the future. An added bonus is that they are also an excellent value; such an economical price for such a high quality product!